No matter the focus, legends of the American West aren’t fully defined by single chapters on time-honored themes. Accounts of how much gold was dug, how many miles were traveled, or how much mail was carried in the brief existence of the Pony Express are merely extensions of an even larger movement. Neither are the subjects shaped solely by the tens of thousands of emigrants that poured over the plains or the epic sagas of outlaws, military battles, barbed wire, cattle drives, railroads, coach lines, vast terrain, or historic trails and towns… There is something more that binds this legacy together. The real story of the growth of the West is driven by what has always made America stand strong – The opportunity to dream, the freedom to fail, and the tenacity to succeed. From the mountains and plains to the deltas, deserts, and coasts, nothing happened without a witness. As fate would have it, the most prominent and least known observer is one that touched virtually every part of it all… Wheels. Wooden wheels. Aggressive wheels. Dominating wheels – millions of wheels that hauled, supplied, competed, drove, defended, protected, and provided. Riding atop each of those rolling workhorses is the untold story of thousands of vehicle brands. Within those brands are the people and products that made history; each, hand-hewing a nation while forging America’s first transportation empire. It was an industry filled with cut-throat competition as rivals fought for even larger pieces of the distribution pie. Triumph, tribulation, and tragedy defined this quest for advantage. 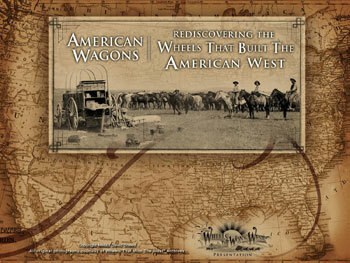 This is the very heart of the story housed in the Wheels That Won The West® Archives. Ultimately, it’s a colossal heritage that’s been overlooked for too long. So long that, today, America has lost the majority of its most legendary wheeled observers; direct participants who were fully engaged in practically every part of the 1800’s West. For nearly two centuries, discarded relics have watched, waiting for the full record to be told. It’s a story so faded, worn, aged, brittle, and forgotten that we are likely the last generation with realistic prospects of rescuing remaining survivors. Whether your group is looking for a polished presentation or you’re involved with a broadcast, print, or on-line project, the Wheels That Won The West® Archives are filled with fresh, seldom-seen views of western vehicle realities. Photos showing perilous travel on narrow mountain roads are matched with countless original images showing farm, freight, ranch, trail, stagecoach, emigrant, and business wagons in use. Other topics include numerous one-of-a-kind maker images, tragic accidents, early marketing, construction designs, road building, patent filings, and scarce views of the wagon trade with American Indians. Collectively, it’s one of the most diverse and unique compilations showcasing early western vehicles in the U.S.
Due to the rarity and depth of the material, we’re limited in what can be shown here. That said, whatever your needs, we’d count it a privilege to assist you and would be happy to discuss specific rates and requirements while sharing follow-up materials for review. Feel free to drop us a line at your convenience. In the meantime, below is a brief summary of our Presentation & Media Services. Primary Source Photography & Vehicle Details – From broadcast television and documentary projects to magazine, website, and event promotion needs, the Wheels That Won The West® Archives are filled with exclusive and rarely seen views of America’s first transportation empire. The materials offer unparalleled insights into an extraordinarily advanced and extremely competitive industry. 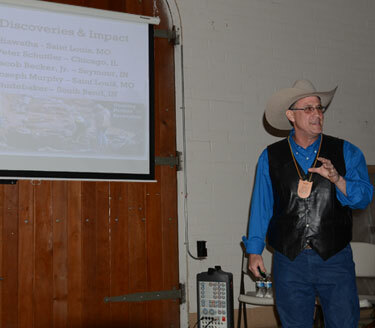 Special Event Presentations – David Sneed has been privileged to speak to groups throughout the U.S. 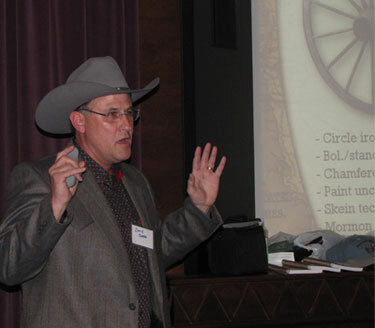 He has made presentations to audiences at the Buffalo Bill Historical Center in Wyoming, Colonial Williamsburg in Virginia, the Santa Ynez Historical Museum in California, Cowgirl Hall of Fame in Texas, National Cowboy & Western Heritage Museum in Oklahoma, the Wyoming State Fair, and more! Our seminars on America’s early western vehicles are created for optimum flexibility – ranging from 30 minutes to several hours in length. Feel free to drop us a line if you have questions. We’d enjoy hearing from you.